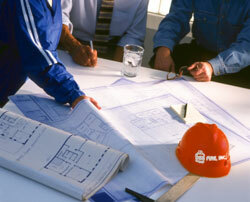 DSS Fire, Inc. understands that our client satisfaction is what makes us successful. Technical excellence, team spirit and a commitment to quality are the attributes that help us meet the needs of our customers. We utilize all in-house personnel for installation, service, testing, monitoring, engineering and sales. This allows us to maintain the quality that our customers depend upon from DSS Fire, Inc.
We can meet the demand of virtually every new or existing fire alarm system. We bring our experience to any size project from high rise office buildings, medical and educational facilities, or industrial complexes requiring the most sophisticated detection and notification systems. We are on the cutting edge of the new mass notification requirements which will soon become a part of everyday life in all commercial properties. We are locally owned and operated with our offices in Dallas, Texas. Please visit the appropriate link to learn more about us and our product lines or to ask a specific question regarding your needs.